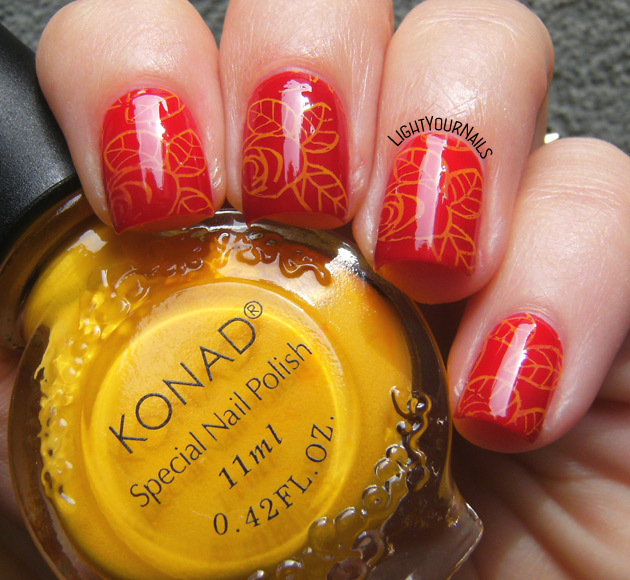 Red and yellow flowers' stamping | Light Your Nails! Mi hai fatto ricordare che anche io ho questo smalto Konad... a prendere polvere sullo scaffale! 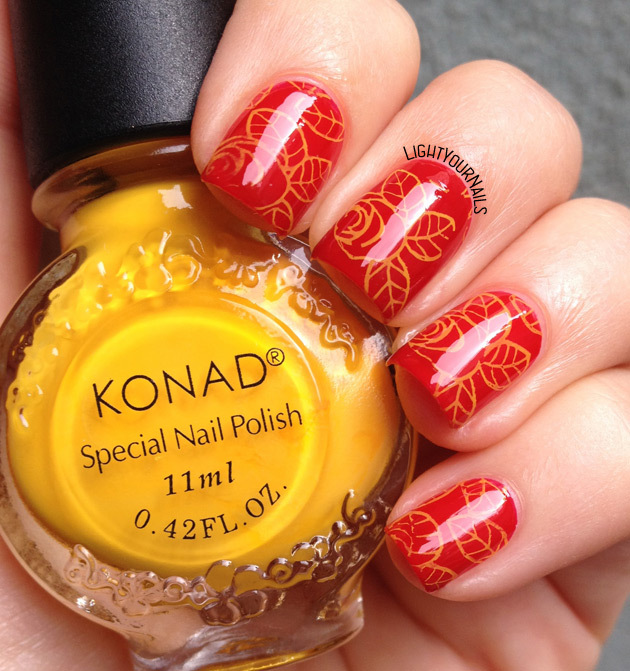 Pensare che a volte mi è mancato avere uno smalto giallo da stamping, e poi quando l'ho avuto tra le mani non sapevo più come usarlo! Great for fall, definitely! Lovely. Devo provare a fare degli stickers fai-da-te colorando le foglie! Questa cosa degli altri colori non la sapevo mica! Grazie della dritta! Dark stamping heads are really effective when using light colored stamping polish! I like your flowers :). Such pretty manicure. Yes, the colors are really apt for fall..great use. Gorgeous! I don't think I have ever done this combination of colors before either. It's not super common to see. These are lovely!! I love the yellow roses! I love your association. So lovely. This was lovely!! That yellow is great! Not too in your face, but just the right amount of brightness. 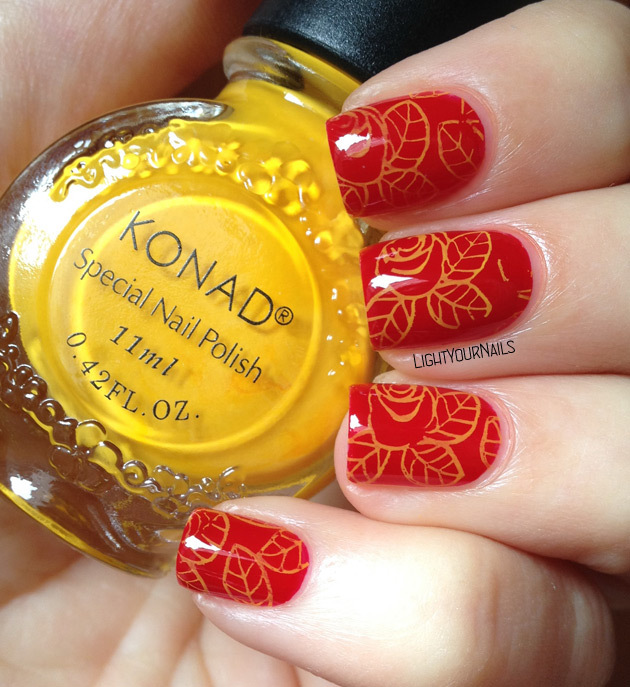 This is beautiful and I love the yellow over the red!